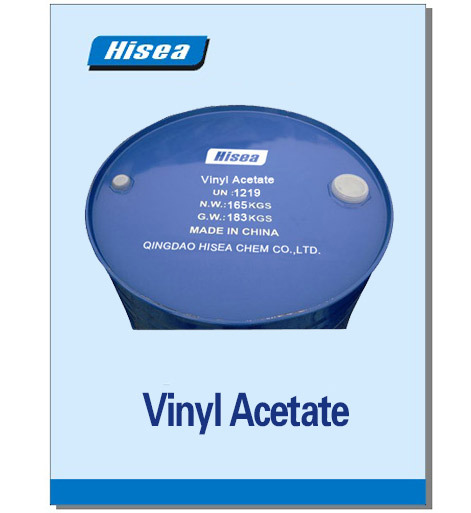 Vinyl acetate is an organic compound with the formula CH3CO2CHCH2. A colorless liquid with a pungentodor, it is the precursor to polyvinylacetate, an important polymer in industry. Unlike many other acetateesters, the odor of vinyl acetate is thoroughly disagreeable and is not used toany substantial degree as an odorant. The worldwide production capacity of vinyl acetate monomer(VAM) was estimated at 6,154,000 tonnes/annum in 2007, with most capacityconcentrated in the United States (1,585,000 all in Texas), China (1,261,000),Japan (725,000) and Taiwan (650,000). The average list price for 2008 was$1600/tonne. Celaneseis the largest producer (ca 25% of the worldwide capacity), while othersignificant producers include China Petrochemical Corporation(7%), Chang Chun Group (6%) and LyondellBasell(5%). It is a key ingredient in furniture-glue. The major industrial route involves the reaction of ethyleneand acetic acidwith oxygenin the presence of a palladium catalyst. It can be polymerized to give polyvinylacetate. With other monomers can be used to prepare copolymerssuch as ethylene-vinyl acetate (EVA), vinylacetate-acrylic acid (VA/AA), polyvinyl chloride acetate (PVCA), and polyvinylpyrrolidone (Vp/Va Copolymer, used in hair gels).Due to the instability of the radical, attempts to control the polymerizationvia most 'living/controlled' radical processes have proved problematic.However, RAFT (or more specifically MADIX)polymerization offers a convenient method of controlling the synthesis of PVAby the addition of a xanthate or a dithiocarbamate chain transfer agent. Vinyl acetate undergoes many of the reactions anticipated for an alkeneand an ester.Bromineadds to give the dibromide. Hydrogen halides add to give 1-haloethyl acetates,which cannot be generated by other methods because of the non-availability ofthe corresponding halo-alcohols. 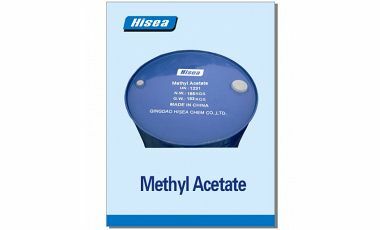 Acetic acid adds in the presence of palladiumcatalysts to give ethylidene diacetate, CH3CH(OAc)2. Itundergoes transesterification with a variety of carboxylicacids.The alkene also undergoes Diels-Alderand 2+2 cycloadditions. On January 31, 2009, the Government of Canada's final assessment concludedthat exposure to vinyl acetate is not considered to be harmful to human health.Thisdecision under the Canadian Environmental Protection Act (CEPA) was based onnew information received during the public comment period, as well as morerecent information from the risk assessment conducted by the European Union.